Start: Lie prone on your stomach, keeping your head straight and feet close together with your arms by your side. Face your palms up and direct your thumbs to the sky. Finish: Pull your arms to your side, while contracting your rear deltoids and pinching your shoulder blades together, squeezing your upper back. Tighten your abdominals the entire time, and keep your feet close together. Start: Lay prone on your stomach, keeping your head straight and feet close together with your arms by your side. head down or neutral. Hold for 15 to 30 seconds, then relax and repeat. 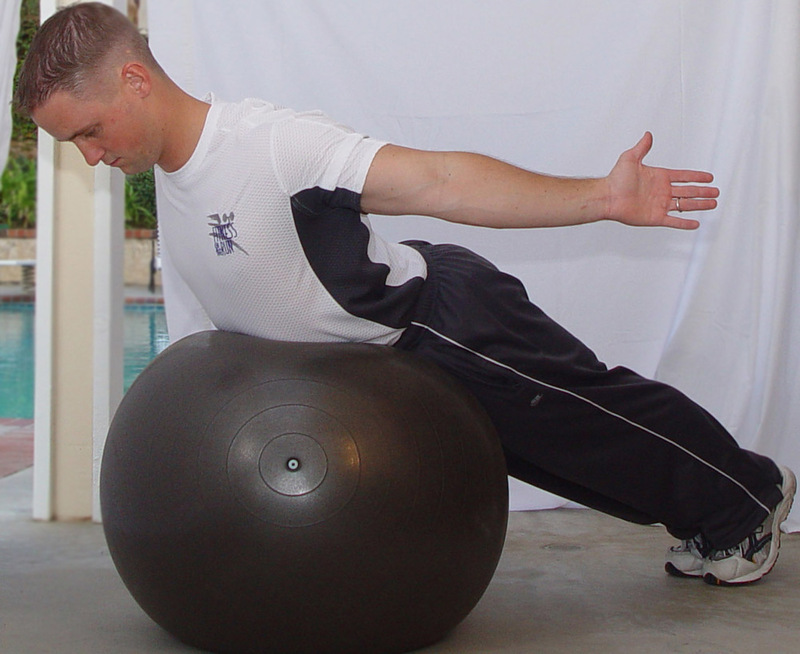 Start: Begin laying on the ball prone on your stomach. Keep your head straight or down and feet shoulder width apart. 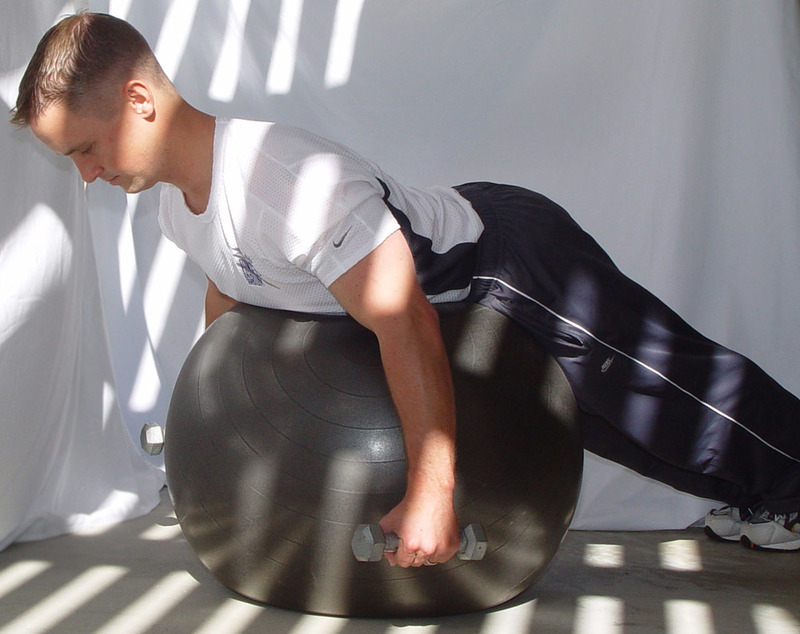 Finish: Arch up by contracting your low back muscles. Keep your head straight and do not allow it to go back or up. weight can be added as well. Finish: Pull your arms back while pinching your shoulder blades together, squeezing your upper back together. 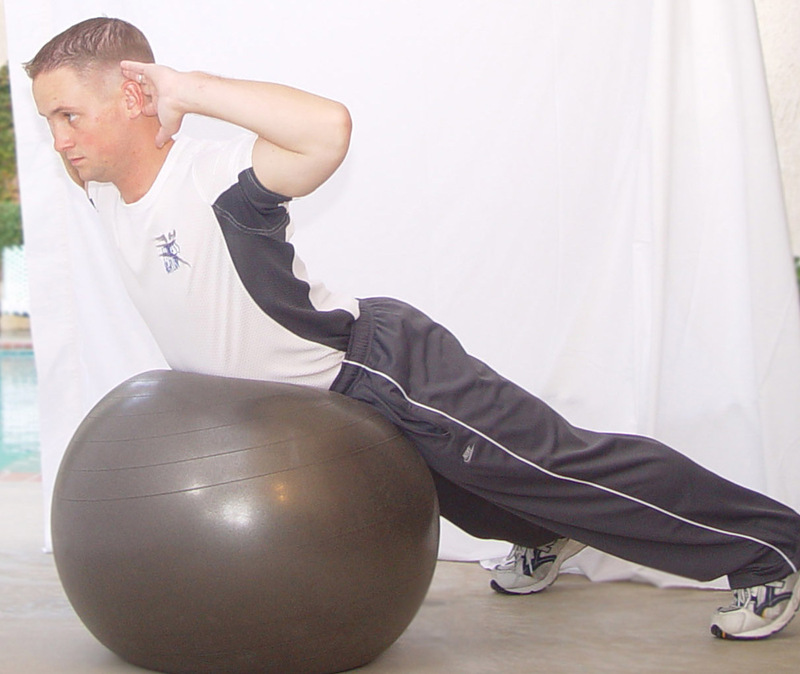 Tighten your abdominals the entire time, and keep your feet close together.